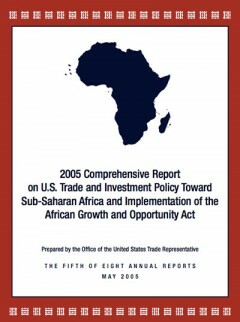 Signed into law on 20 December 2006. 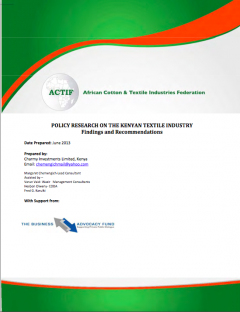 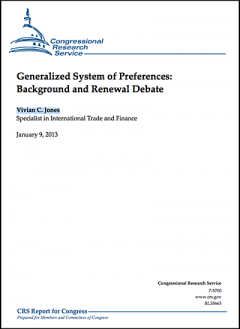 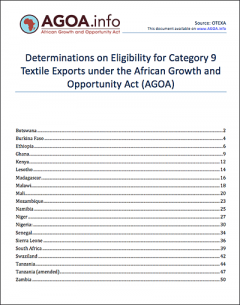 Contains the AGOA IV legislative changes, extending AGOA to 2015 and the third country fabric provisions to 2012; introduces the 'abundant supply' provisions, extends the Generalised System of Preferences. 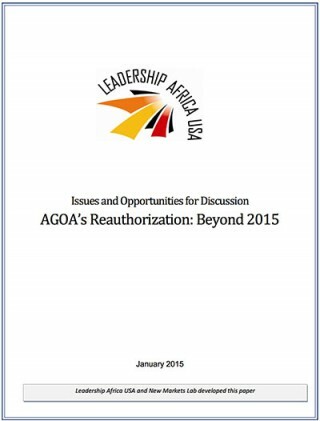 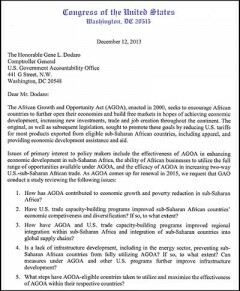 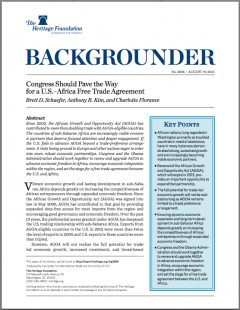 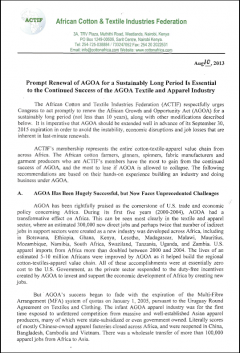 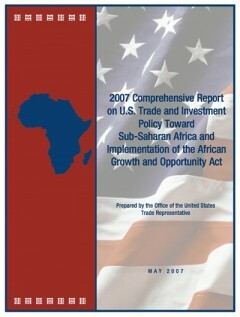 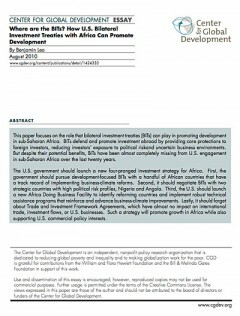 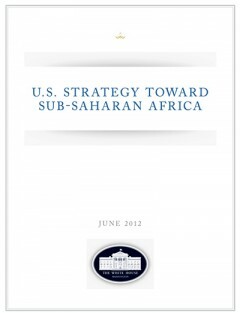 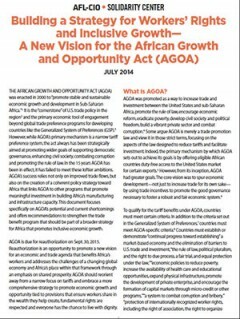 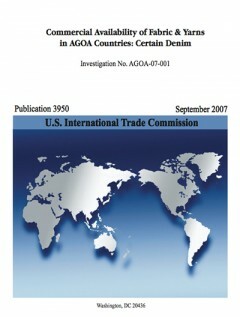 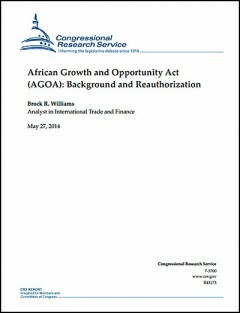 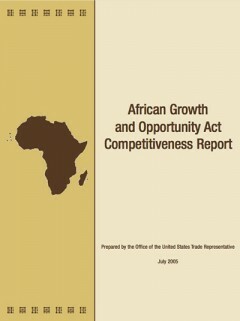 US strategy towards SSA - as announced on 14 June 2012 during the 2012 US-Africa AGOA Forum held in Washington. 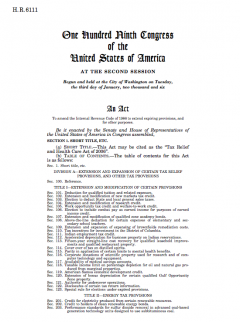 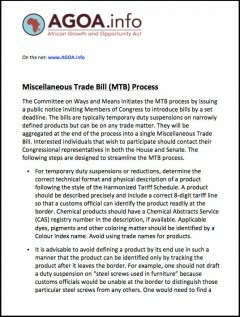 Short explanatory guide to the legislative process of United States Miscellaneous Trade Bills. 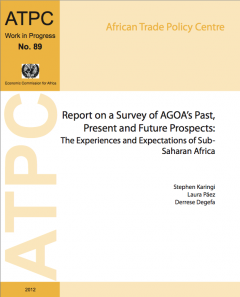 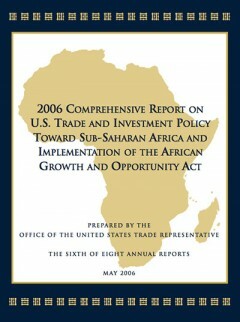 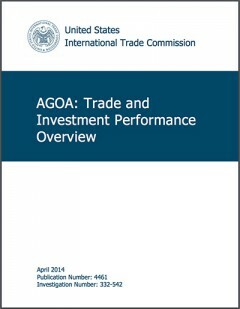 The 6th annual report on US trade and investment with Africa. 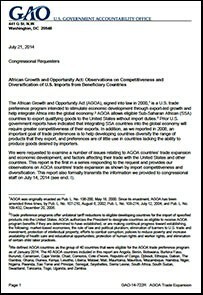 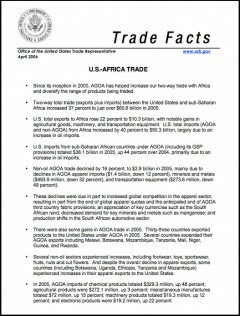 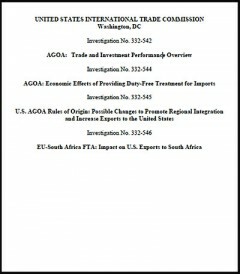 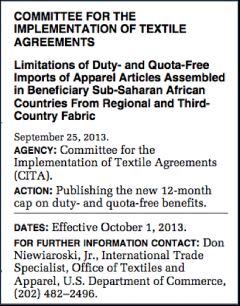 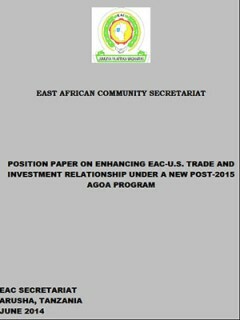 Factsheet published by the USTR on recent US-Africa trade under AGOA. 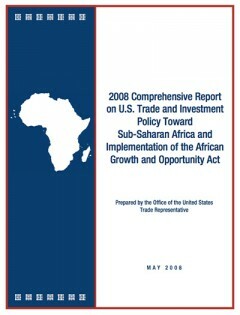 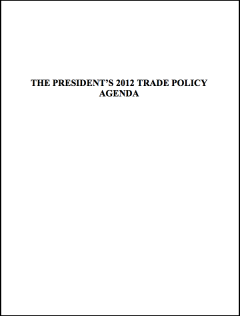 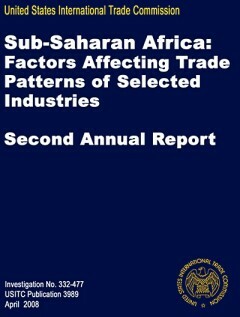 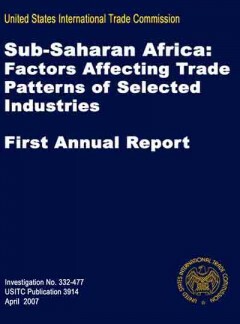 This is the 5th annual report on US trade and investment with Africa.